There's another 'blue smoke' thread here that maybe you've read. You might check if appreciable blow-by is coming out the crankcase breather (left rear-side on my 1710). A compression test also might be good. I'll note that there are several 'out of adjustment' conditions that produce smoke that is described as light gray. Other conditions produce gray, black or white exhaust. I guess there's a possibility of colour confusion. That might be a hopeful thought, because blue smoke problems might equal expensive repairs. But I wonder what's going on here? I guess a stuck or broken ring might be expected in a tractor that had been stored, but you just don't expect to need major engine work and an injector overhaul on a 700 hour tractor. 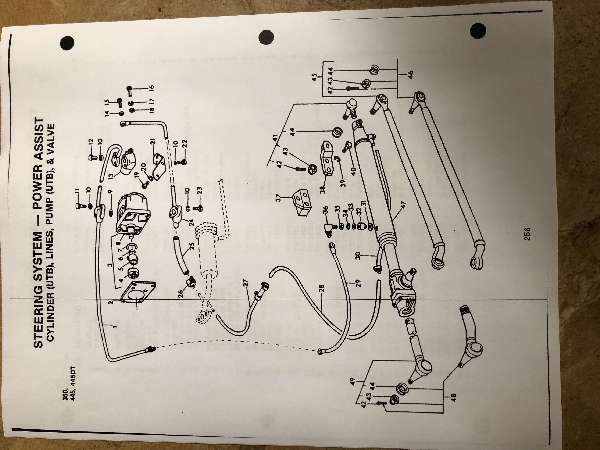 My dealer doesn’t recommend removing the injectors for normal servicing until around 2,500 hours unless there’s a specific problem. I seem to recall that some older Fords had very limited hour ranges on the tachs. It's possible to turn them over during ordinary use, and a well-used tractor may have low hours on the tach. If the dealer did the injector rebuild for you, the mechanic might remember the tractor and have some words of wisdom. You might hear some words of wisdom from the dealer even if the job was done for a previous owner.